Over the last month, the South Korean cryptocurrency market has been hacked twice. CoinRail lost $40 million in altcoins almost two weeks ago, according to TechCrunch. Just yesterday, it was reported here on RadarZero that Bithumb fell victim to a second hacking that cost the company $31 million overnight. After the second hacking, the South Korean government was forced to create a plan to prevent more security breaches from happening in the future. CryptoCoinsNews is now reporting that the government revealed their plan in the form of a new bill. What is South Korea's Solution to The Hacking Problem? 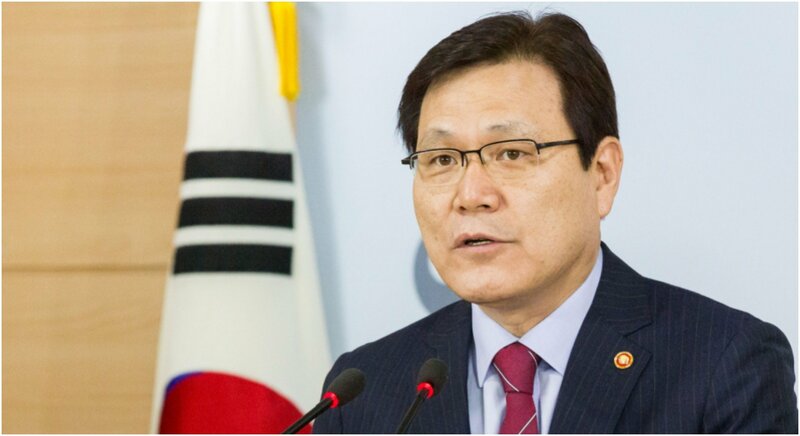 Choi Jong-Ku of the Financial Services Commissions' Chairman explained that to prevent future hacking, the government needs to stabilize the crypto transaction system and protect the traders doing business in the market. Jong-Ku revealed that an amendment bill to the Act on Reporting and Using Specified Financial Transaction Information has been submitted to the National Assembly. The plan of action is for crypto exchanges to heavily monitor by the financial authorities through the "report system." Illegal money laundering and hacking will be blocked from using any virtual currency exchanges. Also, the rules for transactions with commercial banks have been enhanced in order to increase their cooperation. The proposed bill claims the South Korean government will define a virtual currency exchange as a virtual currency handling business. The goal to prevent hacking and money laundering will be obligated onto all crypto handling businesses. NewsBitCoin reports that the new bill will force a virtual currency exchange to report to the Financial Intelligence Unit as a handling business. Afterward, the FIU will supervise the virtual currency exchange and then report any illegal activities to the Financial Supervisory Service. However, this only goes into effect if the bill passes. How Will Businesses Be Punished Under the New Bill? Any crypto business that violates the new rules and restrictions will have new sanctions imposed on them, which could result in the dismissal of officers at the same level as banks or security companies. Other penalties could include a warning of institutions, corrective orders, and even the suspension of business operations. It's also important to note that Hong Sung-ki, who is the Vice Director of Virtual Currency Countermeasures, commented that if the bill is passed through the National Assembly, it doesn't mean that virtual currency exchanges are legally recognized.